I reached into the bread basket on the kitchen counter and pulled out one of half a dozen fortune cookies left over from a takeout order a couple of weeks ago. I cracked it open and found this. I love it when the fortune actually has bearing on your life. I would have cried too. Amazing. And very, very true. Your cheering section is huge! I keep saying it’s all about the connections…. and it IS! I was searching for new songs .. and love looking at lyrics, and came across Stand by Rascall Flatts .. I thought of you! Check it out when you can.. good feel strong song. yes. every single one of us. that is the BEST fortune ever! and what timing! what a blessing! Yep. I would have bawled too. Thanks for your kind words elsewhere, my friend. I’m honored . . . Damn. That gave me a serious shiver. Once I got a prescient fortune that said “don’t mistake temptation for opportunity.” Do you think I listened? Of course not. Still paying for that mistake. In other words, Jennifer: don’t be like me. and it’s very very true. we are rooting for you. Another fan. Cheering you on. No doubt, on the fortune cookie and the tears. love your tennessee williams quote in your blog header. My fortunes always seem to correctly address what a cynic I am. Hmmmm. Last week I stumbled on my fortune from my fortune cookie, and thought of you! I shamefully copied your idea, because it was so apropos for where things have been going. check it out on wait4thenews, and hope you’ll come see my at my new blog. I love you. I want the best for you, always. I am here, always listening always holding your hand. 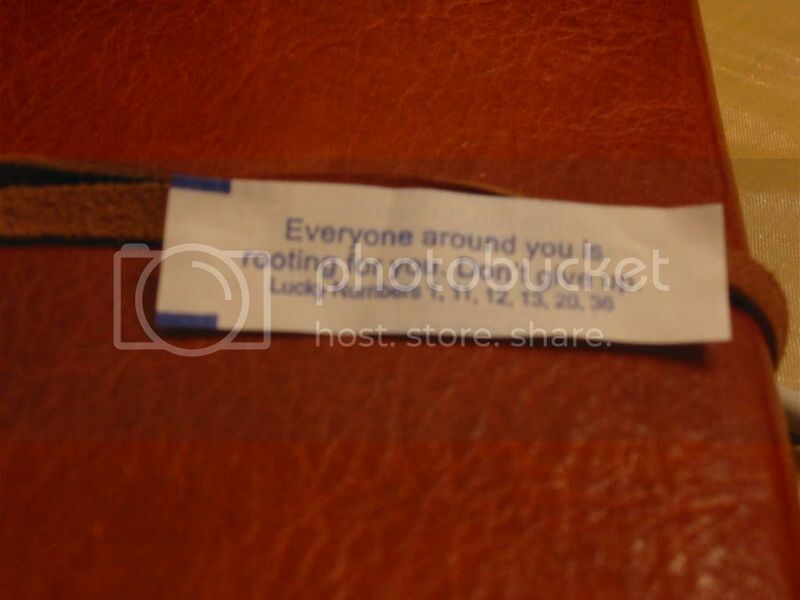 I totally snuck into your house and put that fortune cookie there for you to find. What took you so long!!? !